Are you wondering if it’s time to say goodbye to your current air conditioning system? Maybe the air conditioner needs repairing and you’re wondering if it’s worth it. Or maybe you’re just cautious and are planning ahead. If you take proper care of your air conditioner, your can get your system to last a pretty long time, close to 15 to years. Unfortunately, no amount of care and maintenance will get your system to last forever. 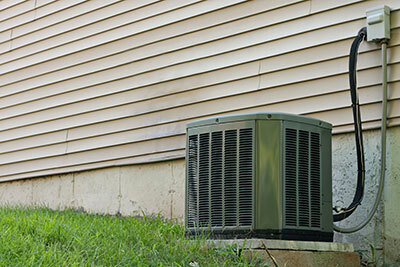 Sooner or later, your air conditioner will give out, and you’ll need to get a new one. What’s important is that you be able to recognize the signs that you need to install a new air conditioning system. Nothing would be worse than having your air conditioning system break down permanently in the middle of summer. Our professionals at Boerne Air Conditioning Experts are happy to point out some of the signs that you’ll notice if you need to replace your current air conditioner. The first sign, of course, is age. If your unit is more than 12 years old, it’s long past its prime and probably due for a replacement. In today’s industry, newer units are much more energy efficient, and you’ll probably notice a significant decrease in your cooling bills—which actually leads us to another common signal that a replacement might be needed: high energy bills. If your energy bills have been through the roof lately, it could have something to do with your cooling system, and that it is simply working too hard to get the job done. Even if the home isn’t properly cooled, your AC may be running up your monthly energy bills to a noticeable extent. If you make the decision to upgrade to new equipment, then you can reduce your bills for years to come. Yet another common sign for a replacement is a history of frequent repairs. When it comes to breakdowns and necessary repairs, you should try to think of your air conditioner like your car. Similar to the components in your car, the parts of your air conditioning system often break down as the unit ages. Some replacement parts and repairs just aren’t worth paying for when the cost gets too high, especially when the air conditioner is old and the warranty has expired. Over time, the repair bills can add up. If your air conditioning unit is prone to frequent breakdowns, it may be time to replace your system. 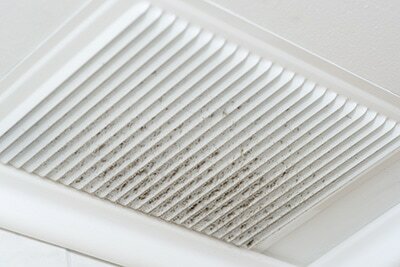 At Boerne Air Conditioning Experts, we’ve also see units that often have foul smells or make strange sounds. The presence of strange sounds such as grinding, squeaking or chattering is never normal and should not be taken as a typical sign of aging. Most air conditioning units are supposed to operate at a noise level that is barely detectable, so if your cooling system is drawing attention to itself, you know it’s time to upgrade to new equipment. In the same way that noticeable sounds typically indicate a problem with heating and cooling systems, strange smells indicate similar problems. Your AC system should be producing clean, neutral-smelling air, but this isn’t always the case when an undetected issue exists. A smokey or burning smell can also indicate serious problems, and you should immediately contact one of our technicians to come inspect the unit. A clear sign that your air conditioning unit needs replacing is when you begin to notice a buildup of moisture or an increase in indoor humidity levels. When humidity levels start to inexplicably increase in your home, it could indicate that your air conditioning system isn’t doing what it should. Additionally, all AC units will create moisture to some extent, but those that are functioning properly should be able to handle it without issue. When moisture is present or leakage is occurring around your AC unit, it could be that you have a refrigerant leak on your hands. This will not only cause the system to underperform, but it also poses a serious health risk to you and your family. Even if it’s just water that’s building up, allowing the problem to persist can create an undesirable breeding ground for mold, which can damage belongings and cause allergy systems for those living in the home. A few additional signs to keep an eye out for include a lack of cool air or limited airflow, and an increase in dust. To learn more about the signs indicating a need for replacement, feel free to talk to one of our specialists at Boerne Air Conditioning Experts.